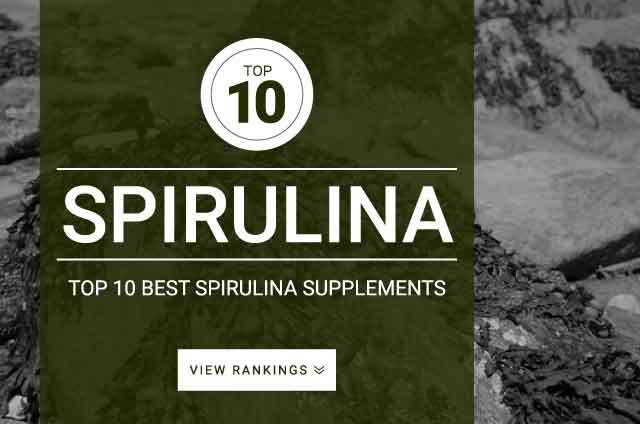 Onlinestrength analyzed 10 best-selling Spirulina supplements in the United States, recording total spirulina content and heavy metal (arsenic, cadmium, lead, mercury) contamination. Supplements that containe low quality ingredients or controversial binders, artificial coloring agents, and/or preservatives were penalized and received lower rankings. Spirulina is a blue-green algae said to be a necessity for building healthy and strong body. Spirulina naturally contains high levels of various B vitamins, beta-carotene, other carotenoids, and essential minerals, including calcium, iron, magnesium, manganese, potassium, and zinc. Powerful antioxidant that helps the body eliminate harmful free radicals improving skin and hair quality, and decreasing chance of illness greatly. Detoxes heavy metals from the body. Nutrient rich – Vital micro nutrients that improve your overall health. The B12 in spirulina has low bio availability and should not be used as B12 supplement. Spirulina dosages: 1 to 8.4 g daily. Cholesterol benefits – 1-8 g per day. Muscle performance – 2 – 7.5 grams per day.